The Denver Broncos remain on the hunt for their quarterback of the future and have their eye on an arm up north in Josh Allen of Wyoming. Throwing for numerous scouts from across the country. Allen’s pro day was described as ‘dazzling,’ or ‘what we expected,’ depending on who you speak too. Many eyes were on the strong-armed quarterback who threw for 5,066 yards in college at Wyoming. 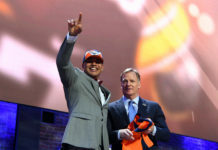 Allen was expected to be taken in the top five of the NFL Draft even before the pro day and after his day in Laramie, most have him pegged as a lock for a top three selection. His arm-strength being the top reason why, but also his smarts for the game, even amid criticism of his 56% completion mark for his college career. 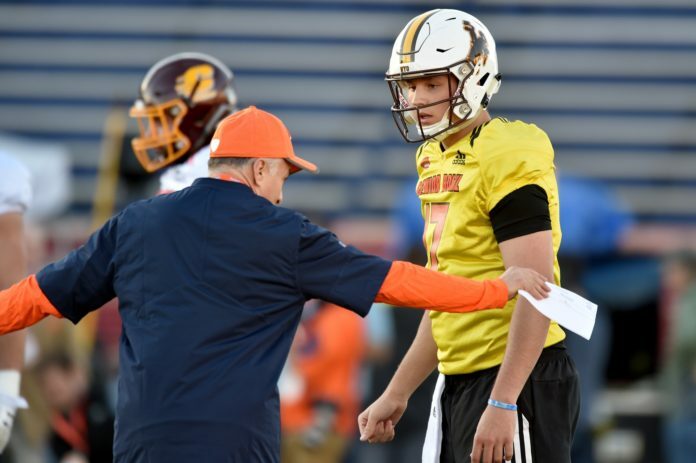 Discussing Allen’s pro day and if these ‘glorified practices’ even matter, is Broncos Blitz podcast host Ronnie K.
Ronnie K discusses the feedback that Allen got from the morning throwing session, as well as how past quarterbacks and players in general have fared, connecting to how much stock people should be putting into pro days in general. 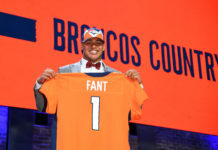 Click here to listen to the full Broncos Blitz podcast with Ronnie K, including what he had to say about Sam Darnold’s pro day, where the arms fall when it comes to the draft and more, or listen to the podcast below.